Hulu is heading back to Maine. Today, the streaming service announced they’ve renewed Castle Rock for a second season. From J.J. Abrams and Stephen King, the psychological horror drama “combines the mythological scale and intimate character storytelling of King’s best-loved works, weaving an epic saga of darkness and light, played out on a few square miles of Maine woodland.” The cast includes Andre Holland, Sissy Spacek, Melanie Lynskey, Bill Skarsgard, and Jane Levy. 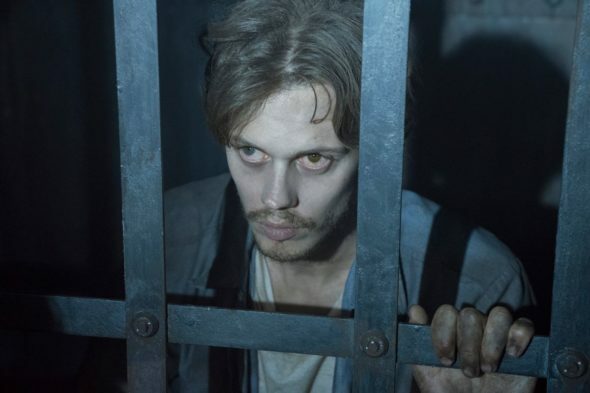 It’s unclear when season two of Castle Rock will premiere, but it’s likely the new season will debut sometime next summer since season one just started in July. What do you think? Have you seen Castle Rock? Will you watch season two? More about: Castle Rock, Castle Rock: canceled or renewed?, Hulu TV shows: canceled or renewed? Wow, amazing season! It gets a little complicated in episode 9 season 1 but stay with it. Read online if you need someone to explain it. Parallel universe stuff is happening.